Motorbuses became common on London’s streets in the first decade of the century and the last horse-drawn omnibus ran in 1914. Between 1909 and 1911 the London General Omnibus Company took over most of its main rivals to establish a near-monopoly for itself. From 1903 the LCC began creating a comprehensive electric tram network as far as the borders of their jurisdiction, except where borough councils refused permission for tracks to be laid. Beyond the LCC’s area local authorities or private companies operated separate systems. Trolley buses – electric buses taking their power from overhead cables – were introduced as a replacement to trams and most major roads in the central areas of London were covered by overhead electricity lines during the 1930s to 1950s. The underground railway network – the ‘Tube’ – was greatly expanded during the first half of the century, particularly with the change-over to electric trains. The Central London Railway created the first deep-level line, linking the City with the shopping districts of the West End. In 1901 the maverick Philadelphian financier Charles Tyson Yerkes moved to London. Forming the Underground Electric Railways Company of London he took control of the District line and created the Bakerloo, Piccadilly and Northern lines. In 1933 London’s public transport was nationalized into one body. The London Passenger Transport Board – London Transport – took control of what were previously sixty-one bus companies, seventeen tramways and five railway companies. In 1922 the London & South Western Railway completed its grand new terminus at Waterloo. With the growth of the bus, tram, rail network, and increasing use of cars, people began in far greater numbers to commute to London from outlying towns and villages on a daily basis. By the outbreak of the Second World War almost two million people were commuting in and out of the centre of London each day. London had grown large enough that many people lived their lives in one particular area and knew little of what happened in other parts of the city. Between 1919 and 1939 the conurbation doubled in size. Villages merged into the metropolis, farms and some country estates disappeared and ribbon developments joined together. The process of people moving from the inner suburbs to the new parts gradually resolved the problem of London’s slum areas that had formed a ring around the central districts throughout the 19th century. However, the middle classes departed neighborhoods such as Islington, Paddington, Bayswater and Brixton to live in smart new suburbs. Their place was taken by the less-wealthy or transient working classes, with former large family mansions sub-divided into numerous flats, with the result that those areas became London’s new slums. 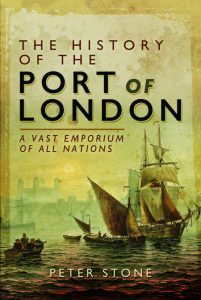 The Port of London had long been the largest dock complex in the world and so it remained throughout the first half of the 20th century. In the early decades it was the biggest employer in the capital, with twenty thousand men working there each day in a wide variety of jobs. Each of the individual docks was created and managed by a separate company, as were the many wharves along the river. Trade continued to increase but ships were becoming ever-larger, requiring expensive dredging of the Thames. The government nationalized the docks, creating the Port of London Authority, responsible for the Thames between Teddington and the sea. The PLA had the authority and scope to solve many long-term problems, including dredging the river and regulating dock labour. In the two decades before the First World War the City of London was the world’s leading financial centre and its various markets set the world price of commodities. London’s merchant banks guaranteed payment and governments and organisations all around the world called on them to raise capital. The world’s exchange rates were adjusted according to the price of gold, linked to the price of sterling in London. The City’s banks also had a strong local market within Britain. Clearing banks, with their headquarters located around Threadneedle Street, were opening branches in every town and British people were borrowing and saving money and using the banks’ cheques to make payment. Banks were not only growing but also merging with others to form ever-larger entities.